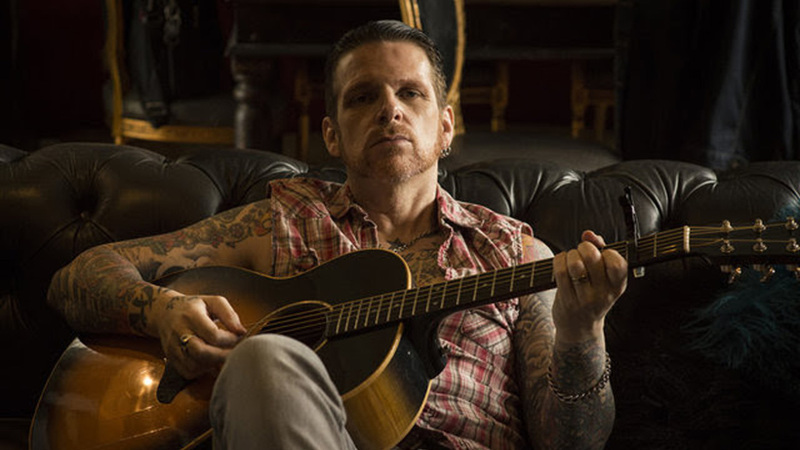 Ricky Warwick is streaming the title track of his new album, When Patsy Cline Was Crazy (And Guy Mitchell Sang The Blues). The album is part of a double release that will also feature an acoustic album, Hearts On Trees. As Warwick details, it was his friend Sam Robinson who came to him with the lyrics for the song: “He handed me these lyrics and my jaw hit the floor. They were the lyrics for the title track ‘When Patsy Cline Was Crazy (And Guy Mitchell Sang The Blues)’ and that title alone just evoked so many memories for me from my childhood. “The strange thing is that Sam and I grew up about a mile apart from each other and supported the same football team, we had the same working class upbringing but never met each other. “Now here was a guy who wrote in this song about the music that his father listened to, which was the same music that my father listened to – about his father working during the week, having a flutter on the horses on a Saturday, winning money, buddies coming over, the whiskey coming out, the cards coming out and we’d get to be the DJs and get to put the records on. “And when you’re 10 years old, that was a big thing that you were in charge of the record player. You got to put on Sinatra, Hank Williams, Johnny Cash, Patsy Cline and all these greats, and that was magical. When Patsy Cline was crazy (And Guy Mitchell Sang The Blues) and Hearts On Trees will be released as a double CD on the 26th of February via Nuclear Blast Entertainment. The album is available to pre-order now.